231 / , entire, etc. 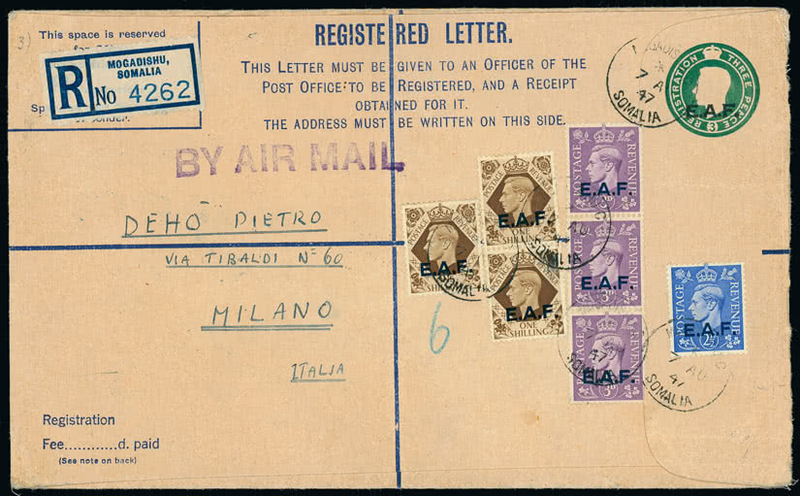 Brunei: Postal Stationery: 1935 15c. 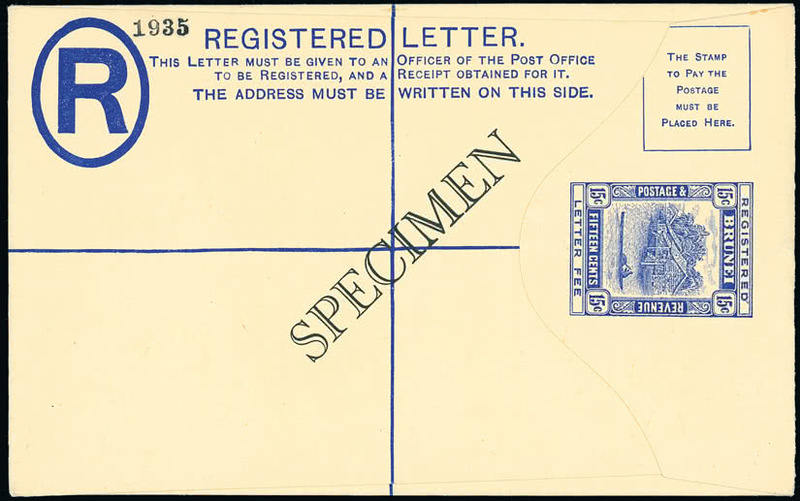 size G registered envelopes (2) both overprinted “SPECIMEN”, one very fine and fresh, the other mainly fine but flap stuck down. H&G 1a. Photo. 232 / , entire, etc. 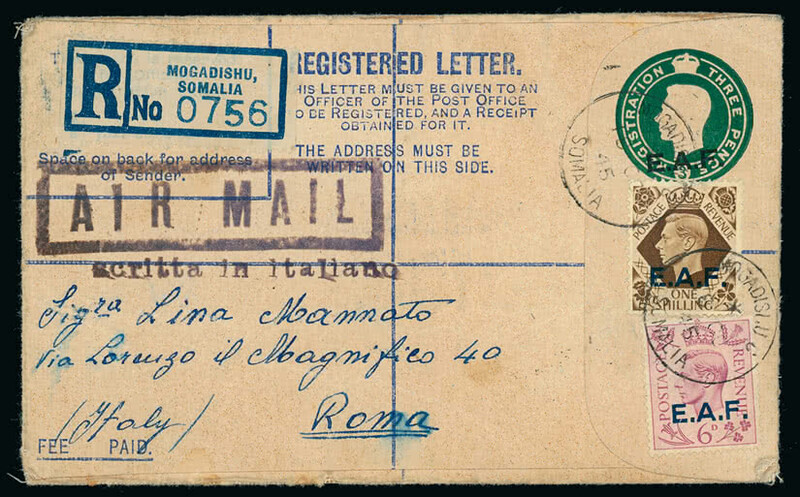 Brunei: Postal Stationery: 1935 15c. 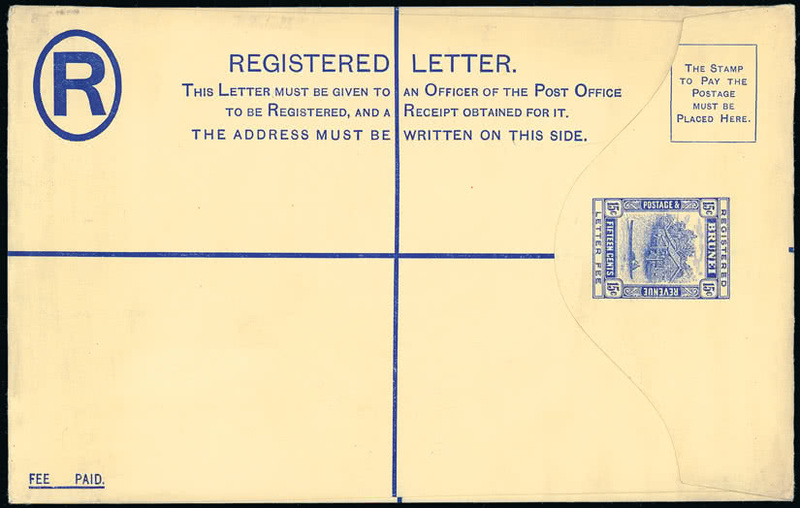 size H registered postal stationery envelope unused, fine. 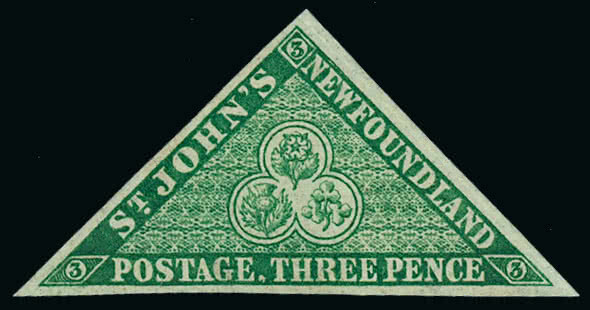 H&G 1b. Photo. 233 / , entire, etc. 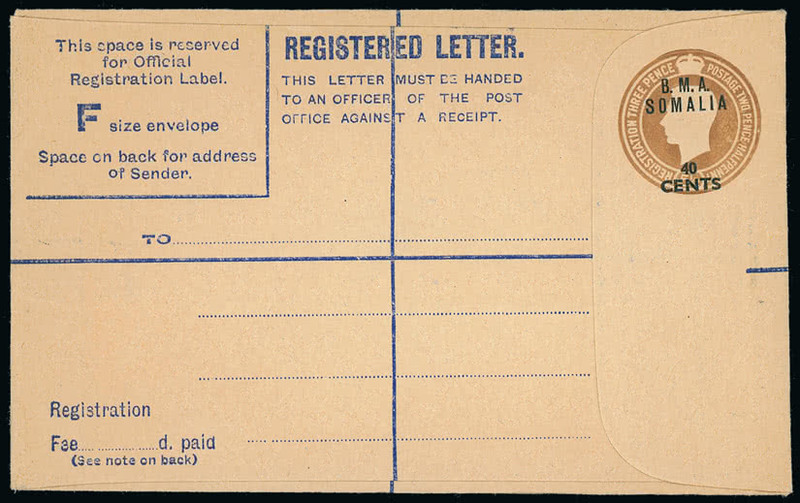 Brunei: Postal Stationery: Japanese Occupation 1944 15c. 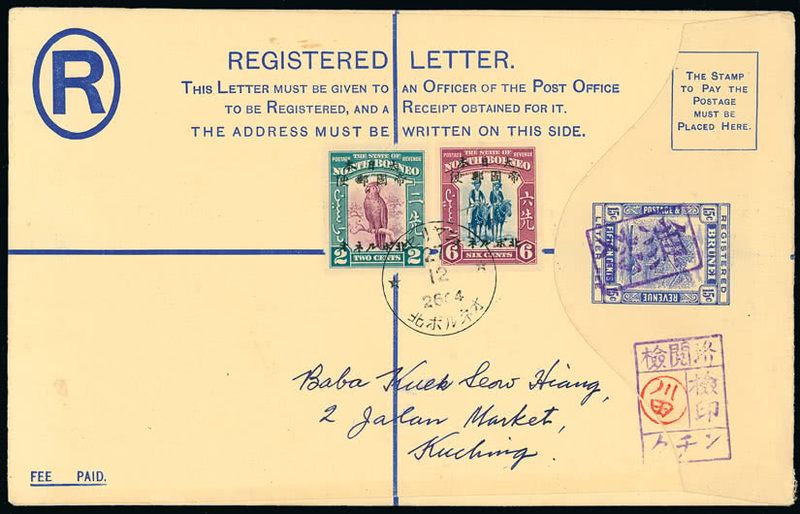 registered envelope with Japanese chop in violet, used with North Borneo 2c. 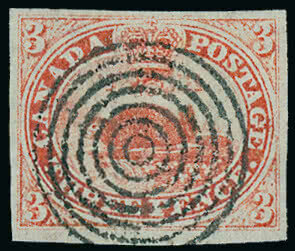 and 6c. to Kuching, fine. H&G 1. Photo.